Five ACC teams are among the 64-team field for the 2013 NCAA Women’s Basketball Championship announced Monday evening. ACC Champion Duke (29-2, 17-1 ACC) was selected as a No. 2 seed, North Carolina (28-6, 14-4) was tabbed a No. 3 seed and Maryland (24-7, 14-4) earned a No. 4 seed, while Florida State (22-9, 11-7) and Miami (21-10, 11-7) each received a No. 8 seed, which marks the 19th consecutive year that at least four ACC teams have been selected to the NCAA Championship field. Duke, which will be appearing in the NCAA postseason field for an ACC-best 19th consecutive year, drew the No. 2 seed in the Norfolk Region. Cameron Indoor Stadium will serve as host for the first and second rounds as the Blue Devils will play No. 15 seed Hampton (28-5) on Sunday, March 24. Maryland returns to the NCAA Tournament for the program’s 21st all-time appearance and is seeded No. 4 in the Bridgeport Region. 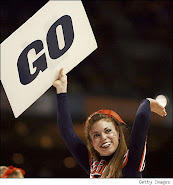 The Terrapins own a 31-19 NCAA Tournament record and captured the national championship in 2006. Maryland, which posted a 24-7 mark in regular season play, will play host to 13th-seeded Quinnipiac (30-2). North Carolina earned a No. 3 seed and will participate in the Big Dance for a league-best 24th time in program history. The Tar Heels, which finished the regular season with a 28-6 mark, including run to the 2013 ACC Tournament final, are led by All-ACC First Team honoree Tierra Ruffin-Pratt with 14.9 points and 3.9 rebounds per game, and ACC Rookie of the Year Xylina McDaniel (12.2 points, 7.2 rebounds). Entering the postseason with a 41-22 all-time NCAA Tournament record, UNC will face No. 14 seed, Albany (27-3). In the Oklahoma City region, Florida State makes its 12th NCAA Championship appearance under head coach Sue Semrau. As a No. 8 seed, FSU will travel to Waco, Texas, to take on No. 9 seed Princeton (22-6), the Ivy League automatic qualifier. Earning its third consecutive NCAA Tournament berth is Miami, which grabbed a No. 8 seed and will face No. 9 seed Iowa (24-7), on March 24 in Iowa City, Iowa, in the Norfolk Region. The Hurricanes have compiled a 4-8 record in eight previous tournament appearances. First- and second-round games will be played at 16 sites Saturday, March 23 through Tuesday, March 26. The 16 second-round winners will compete at the four regional sites. The Spokane Regional and the Bridgeport Regional will be played Saturday, March 30 and Monday, April 1, while the Norfolk Regional and the Oklahoma City Regional will be held Sunday, March 31 and Tuesday, April 2. 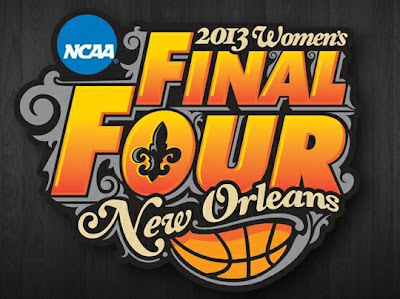 The four regional winners will advance to the 2013 NCAA Women’s Final Four, April 7 and 9, at the New Orleans Arena in New Orleans, La.